Our removals company knows that moving can seem like a never ending process. With so many boxes to pack and things to organise, it can seem like an insurmountable task. That is why we at St Pauls Removals have created a comprehensive EC4 man and van service which can be adapted to your individual moving requirements. Ideal for both personal and business moves, our professional and experienced removals team can help you with almost every aspect of your move. So why not call us on 020 8746 4464 today to see how we can help. With an extensive range of packages, our St Paul’s man with a van service can help you with a range of removal needs including the below. 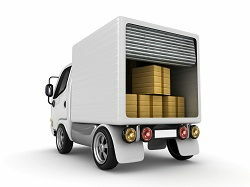 • Loading and unloading the van – our friendly and professional man and van movers are happy to load and unload all of your boxes and furniture onto the van to help ensure that you don’t do yourself any damage. With expert training, our relocation team will ensure that all of your items are transported safely and securely and that no damage is obtained along the way. Not only that, but with our helping hands your move can be completed quickly and efficiently so that you can start enjoying your new home. • Packing and unpacking your items – as part of an enhanced service, our relocation team can help wrap and box your possessions for you. With quality packing materials, our moving personnel will ensure that all of your items are packaged quickly and securely to save you time and reduce your stress. So why do it all by yourself when our expert man and a van service is on hand to help. • Transporting your items into storage – if you have items that you’re not ready to move, our EC4 man with van team can organise for them to put into storage for you. With secure, well maintained storage facilities we can ensure that your possessions are well-looked after. Just let us know which boxes you want us to store for you and we will sort the rest. Call us on 020 8746 4464 now to find out about our full range of storage options. • Driving the van – we understand that the last thing you need on moving day is the added stress of picking up and driving a large and unfamiliar vehicle. That is why our van and man packages come with an experienced, local driver who can transport your belongings with ease. With a modern fleet of vehicles, our team are always on time and will always try and complete your move in the shortest time possible and with the least number of trips. So if you like the idea of having some extra help, our varied St Paul’s man and van options could be just up your street. With less time spent packing and loading, you have more time to complete the necessary paperwork and organise your new home or office. So why do everything by yourself when we at St Pauls Removals are on hand to help. With extensive experience and expert training, your move will be in professional hands and will be completed effectively and efficiently. This not only keeps your costs down but takes the stress out of the move, meaning that you can focus on enjoying your new office or home. So why not call our friendly customer services team on 020 8746 4464 now to see how we can help you move at a competitive price.